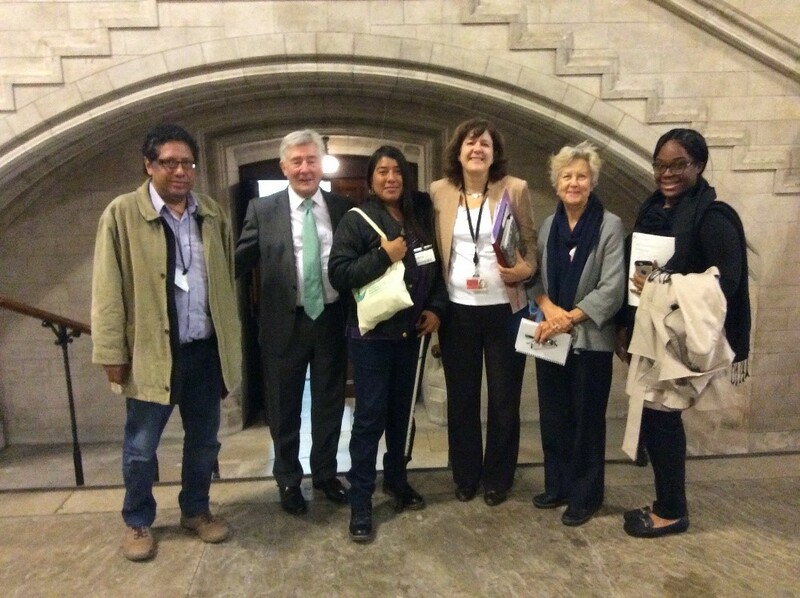 The All-Party Parliamentary Human Rights Group (PHRG) met with human rights defenders (HRDs) Marcos Leyva and Rosalinda Dionicio on 18 October to discuss their work with indigenous communities whose rights are being violated. Rosalinda Dionicio- representing COPUVO, a group that brings together local communities to organise peaceful resistance to a local mining project (RD). Rosalinda was herself permanently injured in an attack in 2012 in which one of her colleagues was killed – see below for further information. The PHRG will continue to monitor the human rights situation in Mexico closely and to raise its concerns, particularly the need for greater protection of HRDs and the investigation of crimes committed against them, with relevant interlocutors. Bernardo Vásquez Sánchez was murdered on March 15, 2012 when an armed group, presumed to have been hired by the municipal authority in San José del Progreso that, at the same time, is closely tied to the interests of the mining company, ambushed Bernardo, his brother Andres and Rosalinda Dionisio Sánchez by the crossroads at Santa Lucía Ocotlán at approximately 9 at night when they were headed to their community. Four months before being murdered, graffiti appeared in a drainage canal near the edge of the urban area and he received threatening text messages: “your end is here,” a threat that was carried out on March 15, 2012. Members of CPUVO told the Civil Mission that the state authorities were aware of these threats, but they did not take any preventive measures. For more information, see the report by clicking on this link.